Learn about the skills you will develop as a result of the activities and projects of this design thinking innovation course. Watch this video. 1. Apply a design thinking approach with an innovation system, methods, tools and techniques for a relevant challenge you choose that you are passionate about. 2. Use design thinking and ideation to create more than 100 raw ideas for your innovation challenge to validate and develop into 4 concepts. Design and communicate the top concepts for your entrepreneurship or social innovation endeavor. 3. Devise your own design thinking innovation toolkit and process that works well for you. Utilize your innovative mindset and skills for other challenges in your work and life. The learning and skill development from this design thinking innovation course will come from doing the activities and projects for a challenge that is real to you. This course includes hours of innovation training videos and activities to do. The videos will demonstrate the activities. The activities will help you learn the techniques to create larger projects. 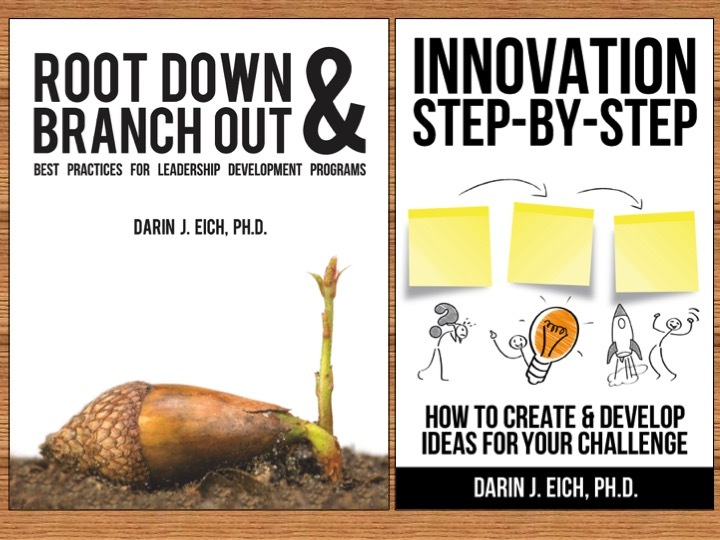 The project is demonstrated in Dr. Darin Eich's Innovation Step-by-Step book (and in many of the online workshop videos in the course modules). The desired outcome of this course is to master the innovation step-by-step system for different challenges you'd like to work on...and to launch ideas that have impact for you as a result of learning and doing the system activities. As you go through the video modules, do the activities that are demonstrated for a challenge that is important to you. You will create hundreds of ideas as a result of this course. Our goal is that you will actually launch and benefit from some of the ideas you develop because they are specific to you and the impact you would like to have in our world. Perhaps you will even create your own entrepreneurial business or organization as a result of the activities and project. At the end of the course you will submit a project that demonstrates your mastery of all 7 steps of the Innovation Step-by-Step process…using design thinking to focus towards a big concept you can act on for positive impact. Email us at Darin@InnovationTraining.org if you are interested in this unique program and we can send you testimonials from clients. This program is designed for you and can be delivered in numerous ways based on your goals. Here are some examples from clients across the globe. This innovation certification course is designed into 15 modules or weeks.